Enable secure shopping on your website within minutes with Oil Checkout. Custom-tailored to the UK Domestic heating oil industry, Oil Checkout is a powerful search and ordering engine for UK heating oil supplier websites. Oil Checkout allows customers to search for heating oil prices in their postcode and securely order their oil with their credit or debit card, 24 hours a day. 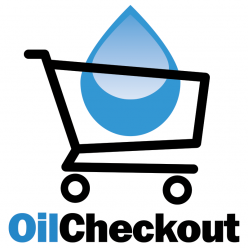 Oil Checkout is simple to use and integrated directly into your own website. Oil Checkout uses your company brand, logo, colours, etc to blend seamlessly into your website. Oil Checkout allows you to have an online ordering system on your website at a fraction of the cost of having it professionally designed, and can be implemented in just a few hours. No more waiting. Add online shopping to your website today and see how you can get orders out of hours and offer a more convenient way for your customers to order. More and more people are turning to the internet to place orders. Moving with the times, the heating oil industry understands the need to provide customers with a tool to place orders outside of business hours. With Oil Checkout, it’s simple, easy and can be done 24 hours a day. The Internet never sleeps! Adding Oil Checkout to your website allows customers a quick and hassle-free way to place their order any time of the day or night. Oil Checkout is so simple to integrate into your own heating oil website that it can be fully setup and integrated into your very own website on the same day, usually taking about 10-15 minutes. All you have to do is add a small line of HTML code to your website, then once you’ve added your postcode prefixes and your pricing, your online ordering system will appear magically in the middle of your own website, live and ready to take orders. When you sign up with Oil Checkout, there are no restrictions on the number of searches or orders that can be placed through your website. The contract price, whether 6-monthly or annually is fully-inclusive and unlimited. To find out about Oil Checkout pricing, click here to learn more.